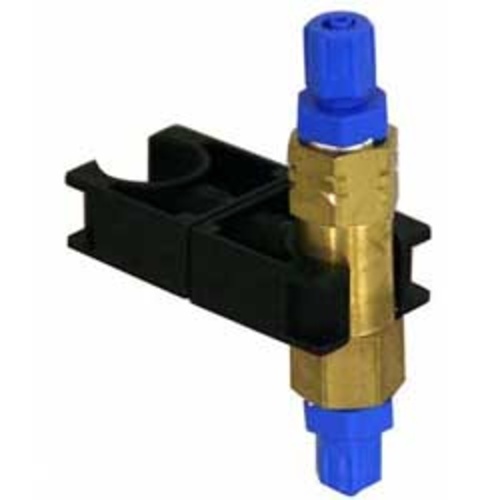 These are the highest quality industrial-grade Brass Check Valve from German Air Pressure Systems. They are heavy-duty enough for food-grade liquid as well. Just like you, we also thought that these were unnecessarily overkill for aquaristic purposes, but it has been proven that these are the ONLY qualified Check Valves for protecting your expensive CO2 equipment (Regulator & Cylinders) from saltwater with a pressurized Kalkreaktor pushing it backward vigorously. Takes 4/6 mm (ID/OD) or 1/8" airline tubing.